This picture shows the buds and leaves of a strawberry tree (Arbutus unedo). The picture was taken at Martha McLean – Anza Narrows Park. 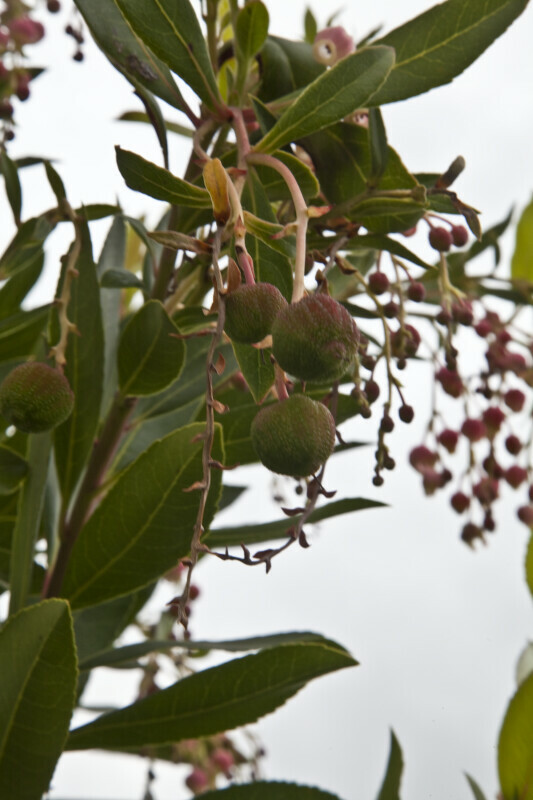 Strawberry tree leaves were traditionally made into an herbal tea used to lower blood pressure and prevent colds.